AstrolDeluxe Platinum, version 9.8, comes with a two-step process for automating astrological research. 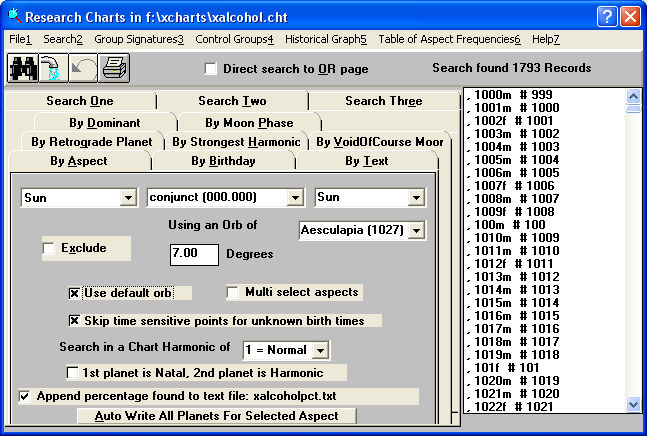 The button at the bottom will automatically perform 120 searches for the selected aspect between all the planets, adding 120 lines to the pct.txt file for that aspect for the currently loaded charts collection. My research involved doing this for eleven zodiacal aspects and two declination aspects for each of 22 chart collection files.  This is step one. The choice up on the menu bar, Table of Aspect Frequencies, will automatically merge all the aspect frequency lines from the separate occupation files into one big table. The pdf version of this table in landscape format is 1134 pages long. This is step two. Here are two examples that display considerable variation that cannot be ascribed to astronomical factors, on account of the regular orbits of the Sun and Moon. By merging the separate aspect frequencies together like this, significant and meaningful new information has been created. Note in particular how positions are reversed for the Sun and Moon aspects between the file of 509 business females versus the file of 2604 business males. You can acquire the data on which this study is based and do your own research. The data in the form of about 35,000 charts in 22 chart collections, all the *pct.txt files for the aspects, and a 1134-page table of the occupational frequencies for all the aspects is being placed on a separate CD with an instructional text on Automated Statistical Research. You can experiment with additional aspects, any angle from 0 to 180, or aspects to asteroids. If you already own version 4 of Astro-Databank, the text explains how to export categories of charts and import them into AstrolDeluxe Platinum. You can contribute to the future of astrology by creating tables that include additional occupations. The future is bright for astrological research. Version 9.8 added a Vocational Ranking screen to the Display menu. This is the practical implementation of the Table of Aspect Frequencies research feature. That table established how frequently all the different planetary aspects occur within 22 collections of charts, ranging from Actor to Writer. 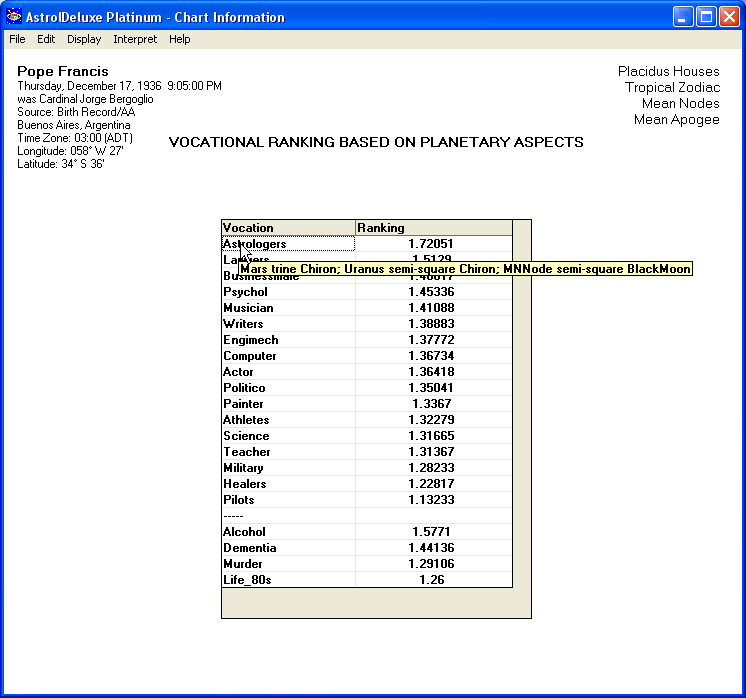 The Vocational Ranking feature translates these results to the person's chart. It works by going through each aspect in a person's chart, incrementing each of the 22 vocational categories with the percentage that the research found for that aspect. The incremented categories are then sorted from strongest to weakest. You can apply this Vocational Ranking feature to self, family, friends, and clients. The chart for prolific British writer Colin Wilson has been discussed elsewhere as an example of a chart that features many of Halloran's newly delineated aspects.